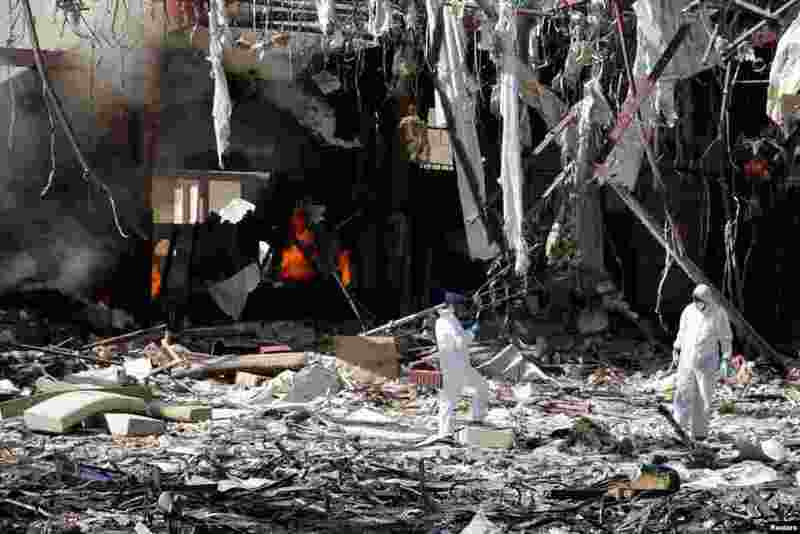 ١ Forensic experts investigate the scene at the community hall where Saudi-led warplanes struck a funeral in Sana'a, the capital of Yemen. 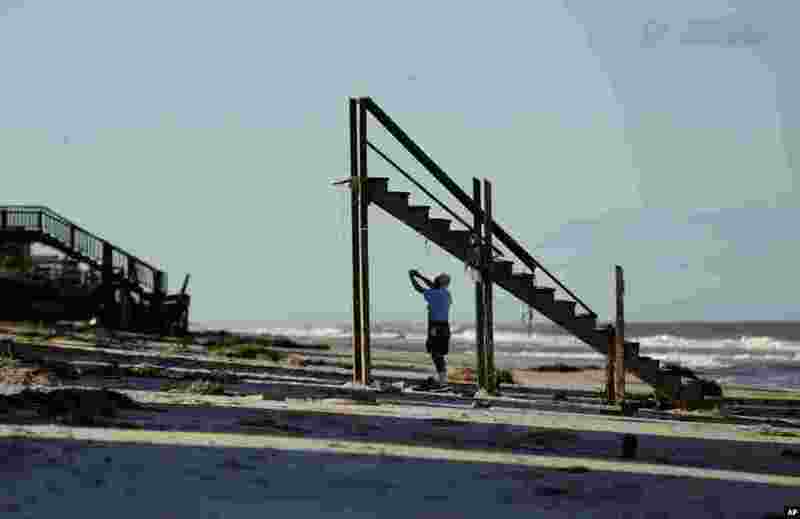 ٢ Ivan Juric takes photos of his damaged beach home at Ponte Vedra Beach, Florida, after Hurricane Matthew passed through on Friday. 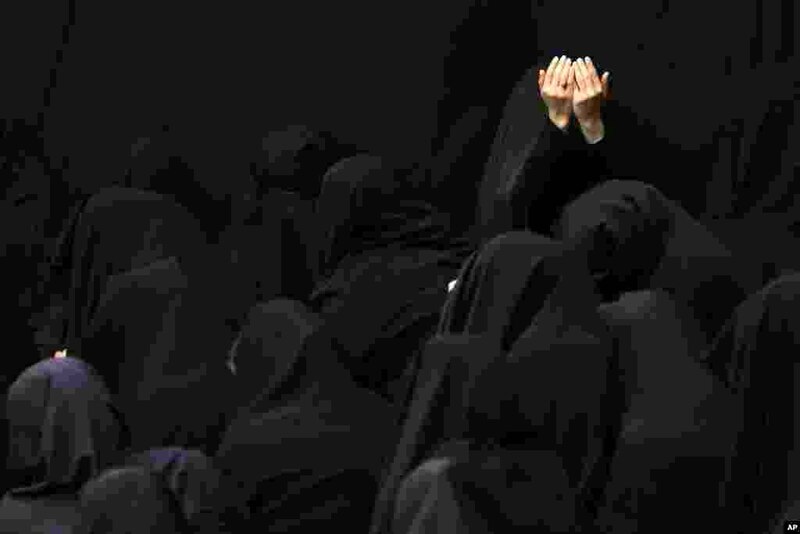 ٣ Iranian Shiite Muslim women mourn during a ceremony at Sadat Akhavi Mosque in Tehran, three days prior to the anniversary of 7th century Shi'ite Imam Hussein, the grandson of Prophet Muhammad, who was killed in a battle in Karbala in present-day Iraq. ٤ Boats sail during the 48th Barcolana regatta in the Gulf of Trieste. More than 1,700 boats are taking part in the regatta.